We travel a lot, right? Do you ever wonder what actually sticks with kids and makes a lasting impression? When you’re planning your own vacation, do you seriously talk to your kids to see what they want to do or where they want to go. After interviewing our own 4 year old, it’s become a bit more clear as to what sort of travel impacts kids… or at least our kids. We’ve got two amazing little dudes. 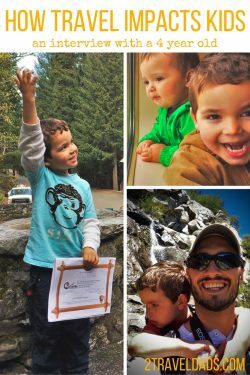 While our youngest, Elliott, is still figuring out how to communicate and what he likes, our oldest, Oliver, is all about over nature. Thank goodness! Hopefully we’ll remember to keep interviewing the kids as they grow up, as it’ll make a great chronicle of our travels, but if nothing else for now, let’s use this to plot and plan our next few big trips. 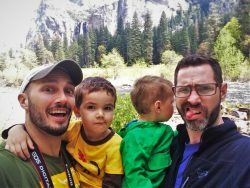 Why ask a 4 year old about family travel? 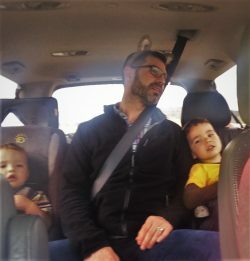 Family travel is about FAMILY, right? Yes, of course! So wouldn’t you want to be creating memorable experiences for all of the travelers in your group? 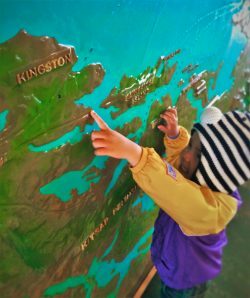 You’ll always be able to have pictures as fun mementos of your travels and adults usually have pretty good travel stories to share with kids as they get older. It’s also important though for kids to remember trips and take something from each one. Tip: we love to find unusual souvenirs, ranging from pictures to travel postcards. Check out our ideas! As I interviewed Oliver I listened for what I could tell was a natural response that made him happy. I poked around about cities and historical sites we’ve been to, but he just kept on returning to things like Yellowstone and Sequoia National Parks. He also talked a lot about our local day trips, which actually made me really happy as it shows that the effort we put into teaching the kids about their home is setting in nicely. Tip: if your kids want to explore someplace you wouldn’t normally think of, take some time to research it and see if it’d be a good family travel destination. Travel impacts kids differently than adults and maybe a random destination is ideal and amazing! Bringing kids along for the ride is great, but it’s also a huge service to them and their development. 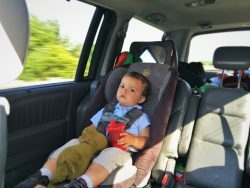 Travel impacts kids starting when they’re just babies. With both of our little guys we’ve traveled since they were tiny. Oliver’s first intense road trip and cross country flights were both before he was even a year old. 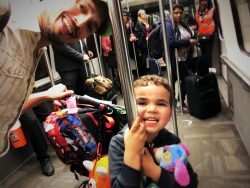 Elliott’s first flight from Seattle to Atlanta was when he was six weeks old. Tip: get passports for your kids when they’re young. You’ll be glad you did. The point of these random numbers: they’ve always been on the go and traveling is no big deal. When I say that traveling is no big deal, I mean the act of transportation such as planes, trains and automobiles aren’t a big deal. Travel impacts kids in that they become resilient. So many adults get stressed about traveling via airplane or being stuck in a car for a long time. Not these guys! They can go through airport security with the best of ‘em. Travel impacts kids in how they relate to their world. We’ve been all kinds of places and they recognize recurring instances in nature, similarities in places we’ve visited, and can tell when we’ve stepped into another culture. We were just up at Mt Rainier hiking to Silver Falls in the Ohanpecosh area and Oliver remarked that the hot springs terrace we hiked past was similar to Mammoth Hot Springs in Yellowstone. Smart kid. When we land in Mexico, he turns on his “gracias” and “buenos dias”. Love it! Another aspect of travel that we’re really solid on is making sure they’re engaged with what we’re doing, not just zoning out on an iPad or something. True, we tote the iPad along for long flights or the endless concrete paths of the interstates, but that’s it. Any sight they see during travel impacts kids’ memories without them even noticing. 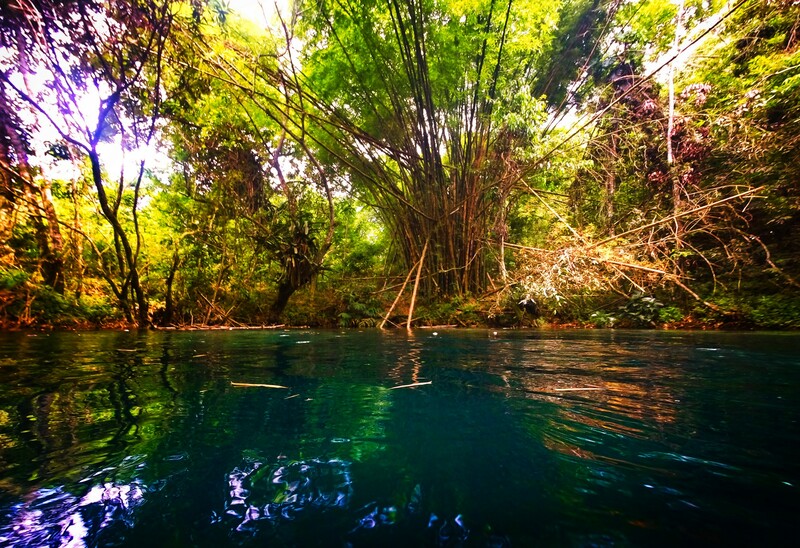 Mountainscapes, forests, lakes… even from the car there’s something to take in. Disclaimer: we do allow iPad time for long stretches of road when one of the kids is sleeping or when we’re on a plane and there’s a sleeper. iPads and tablets aren’t all bad and there are great learning games, but there’s for sure a time and a place. 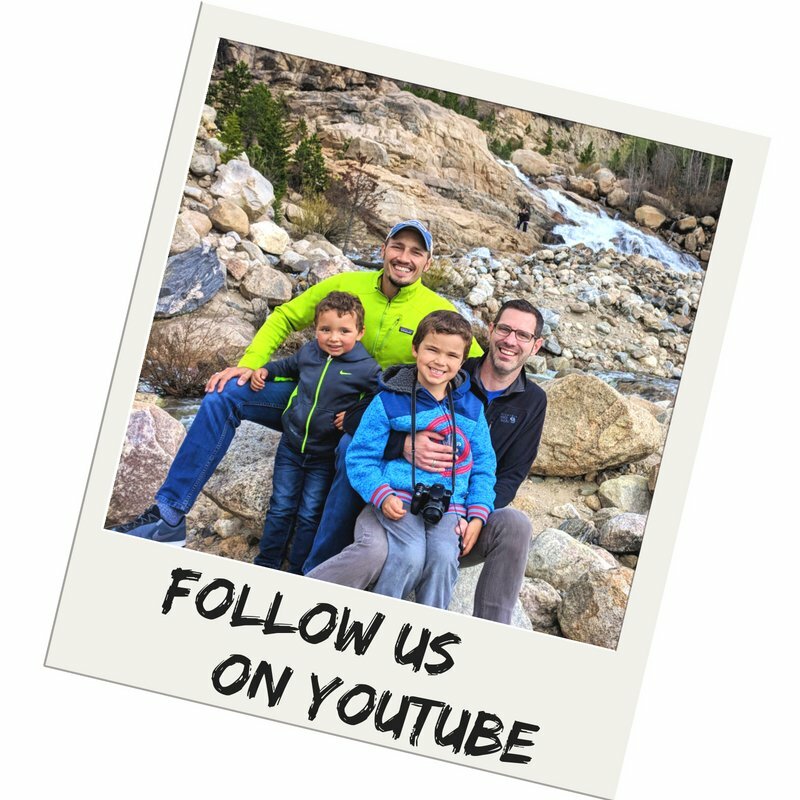 Follow them: NatureTechFam on Instagram; subscribe to their YouTube channel here! And here you go. We had a nice chat on the couch before we leave for another week of family travel. As we talked, I could tell he’s excited to head out on our next trip. Check out the highlights of our conversation. His cuteness takes over in a couple spots, but you get the point. Oh, and pancakes and hotdogs are important in life. So, that was great for us to hear and think about. We’re all over here plotting our next city escape and thinking about what the kids would enjoy, but yeah, no. Apparently being in nature and getting to experience the outdoors will always be paramount in their eyes and is the type of travel that impacts kids the most (when they’re 4 years old).. We’ll see if this is still the case after we all experience Disney World or some other fun place, but for now I think it reinforces our continual visits to our National Parks and beaches. And gosh he’s just such a cute little traveler! You guys are definitely bringing those kiddos up right! I love that you listen to them, ask lots of questions, and keep in mind what they are interested in while traveling. Kudos! Nice- when you visit Maine let me know- I have spots you will love and maybe I could visit you:) My favorite on the video is when he says he likes mountains- I can relate!! Ah ah so cute! He will definitely love the Basque mountains, its little wild horses and cattle everywhere even on the road. I’m sure my 6 years old nephew will travel the world. He always asks me to show on the map the country where I was and is ok to travel with aunty. The 9 years old one is less adventurous. Even if he loves to learn about the cultural differences, he’s not ready to leave France! Let’s go to Maine next, cause yeah, why not?! It’s awesome Oliver’s so into traveling. I would like to hope if I ever have kids that I would include them in the discussion as much as you do because it is really important. Rob, I loved this post! I’m actually commenting from Traverse City, Michigan, the one travel destination I’ve known best since I was a kid myself. The memories here of family fun have stuck with me, and I’ve been having flashbacks as we’ve been driving around town this weekend. I remember being amazed by the huge dunes at Sleeping Bear National Lakeshore as a kid. I was just there again two days ago, and nature, especially at the National Parks, seems to have an impact at every age. Kids were running all over the sand, while adults were standing in awe at the scenic lookouts. And, I have to agree with Oliver — pancakes never cease to be important in life! It was fascinating watching junior and his responses to the questions. I agree with you, fun family time together is probably the most impactful on kids. So cute! 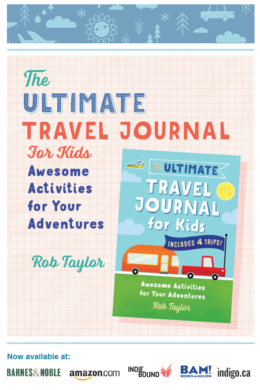 I’m curious what your 4-year-old’s first travel memory was… And how old he was at the time. We have an 18-month-old traveler and I wonder all the time if she will have even a small memory of the places she’s been. Cuteness overload!! You guys are so awesome, great parenting, congratulations! You guys are so incredibly inspiring. And your little interviewee knocked it out of the park! Chimichangas are the best. What a great post and he’s such a cutie. Love that you are giving him the best life experiences by travelling. Look forward to hearing what he thinks when he’s 5! Thank you for calling out the eating money. We’ve heard the same thing and it frustrates me. Already we can see the difference travel had made on the kids. It’s an investment in them. I’m too shocked to see this post but honestly this one is the best inspirations post that I seen. They are sweet kids that are enjoying the Travel. BEST WISHES FOR THEM. 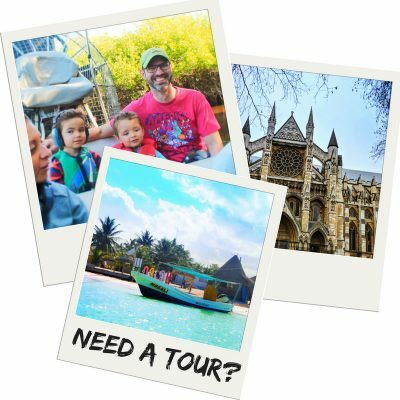 Great post, I always pick the destinations for our trips but I probably should involve the kids a bit more, mine are 5 and 3. We’re travelling to Sicily next month where they’ll have the choice of cities with history, landscapes, beaches so it’ll be interesting to see what they enjoy the most!